A Bangor man accused of causing the death of a tourist in Bar Harbor more than two years ago was sentenced Tuesday to time served after pleading no contest to reckless conduct with a dangerous weapon. Miguel A. Garcia, 43, was released Tuesday after spending nine months and a day at the Hancock County Jail while awaiting trial, according to his attorney, Steven Juskewitch of Ellsworth. Garcia entered his plea at the Hancock County Courthouse on the day his jury trial was set to begin. Charges of manslaughter, aggravated criminal operating a motor vehicle under the influence of intoxicants and aggravated assault were dismissed, according to Hancock County District Attorney Matthew Foster. Juskewitch said Tuesday that Garcia showed no signs of being impaired at the scene or the hospital in Bar Harbor on the day of the accident, Sept. 15, 2015. But Garcia was not feeling well that day, Juskewitch said. The plea agreement was struck after Superior Court Justice Bruce Mallonee ruled that the results of a blood test could not be presented to the jury, Foster said. “After considering evidence, including competing opinions of toxicologists for the state and for the defense, the judge ruled that the danger of unfair prejudice to Mr. Garcia outweighed the probative value of the test results as they related to whether or not Mr. Garcia was affected by narcotics at the time of the crash,” Foster said. Garcia was driving a box truck on Route 3 between the village of Hulls Cove and downtown Bar Harbor when the truck drifted across the road, Bar Harbor police have said. Just moments before, Roger Beghtol, 79, of Hendersonville, North Carolina, had pulled over to the side of the road in his 2010 Buick Lacrosse along a section of the highway known as “The Bluffs,” which overlooks Frenchman Bay. Beghtol was standing by the Buick when the truck struck him and the car. Beghtol died a short time later at Eastern Maine Medical Center in Bangor from injuries he suffered in the collision. His wife, Sally Beghtol, 76, was a passenger in the Buick and was still in the vehicle when the collision occurred. She was taken to the Mount Desert Island Hospital in Bar Harbor with injuries that were not life-threatening, police have said. The maximum penalty for reckless conduct with a dangerous weapon is five years in prison and a fine of up to $5,000. 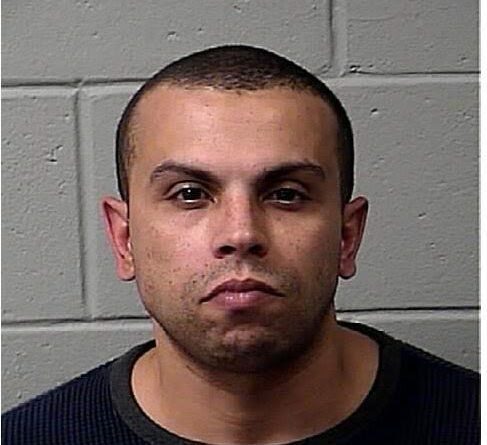 Garcia had been held without bail since late July, when his bail on the Hancock County charges, issued in April 2016, was revoked after unrelated charges were filed in Penobscot County. Garcia pleaded guilty to misdemeanor charges of driving an unregistered vehicle and criminal mischief after he allegedly struck a utility pole and mailboxes in Bangor.